Enjoy detailed sound from Definitive Technology's most compact multi-purpose speakers — the Mythos Gems. The enclosure is made of black hand-polished aluminum for a sleek look that'll go well with most modern décors. A keyhole slot on the back of each speaker allows you to mount them on your walls for out-of-the-way placement, or you can place them on Definitive's matching GemStands. 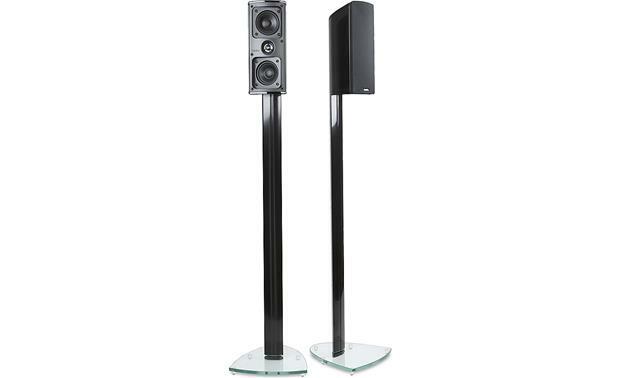 The Gems are voice-matched with the complete Mythos series, so they're perfect for use as compact surround speakers in a system made up of larger Mythos main speakers. Or create a complete Gem home theater system using the Mythos Seven center channel speaker and either the SuperCube 2000 or ProSub 800 subwoofer. can I mount these on my ceiling? With the proper ceiling mount brackets (sold separately), that may be possible. For more details on that, feel free to contact an Advisor directly by phone (888.955.6000) or online chat. 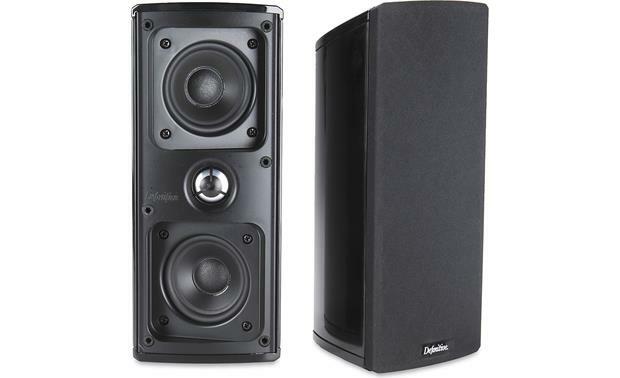 Overview: The Definitive Technology Gem Satellite Loudspeakers provide high-quality sound as a front or back/side surround speaker. Each Gem satellite loudspeaker features two high-definition 3-1/2 inch high definition mid/bass drivers for life-like clarity and three-dimensional imaging and a 1-inch (25mm) pure aluminum dome tweeter for high frequency extension, detail and, smoothness. 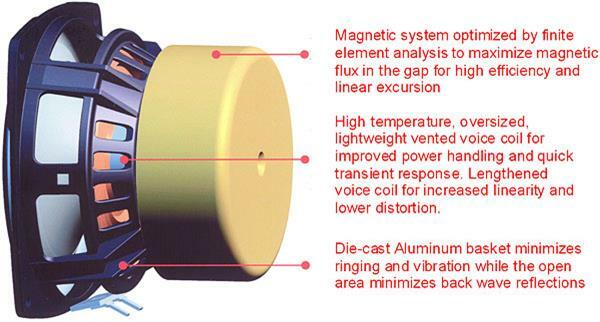 Each Gem satellite loudspeaker utilizes angled drivers to disperse the sound over a broader area. The satellite speakers feature a hand-polished gloss aircraft-grade extruded aluminum enclosure with proprietary damping technologies to ensure total rigidity and accurate sound. The satellite speakers can be placed on a table-top or wall-mounted. Angled Drivers: Each Mythos Gem contains two 3-1/2 inch long-throw mid/bass drivers that are angled in opposite directions to broaden the midrange dispersion. The bass roll-off of the Mythos Gem is smooth and controlled, allowing it to seamlessly blend with a powered subwoofer, such as Definitive's SuperCubes, for audiophile-grade home theater performance. Pure Aluminum Dome Tweeter: EachMythos Gem is equipped with a 1-inch ferrofluid-dampened pure aluminum dome tweeter for extended, smooth highs. Binding Posts: Each Mythos Gem is equipped with a pair of gold-plated, 5-way binding posts to attach your receiver's speaker wire. Mounting: The Mythos Gem comes with a wall-mount bracket, so you can easily mount the speaker on the wall (mounting screws not included). The Mythos Gem also features a 1/4"-20 threaded insert for using Definitive Technology's optional articulating wall-bracket (ProMount 80) to mount the speaker on the wall. In addition, the Mythos Gem can be placed on a table-top, shelf, or stand.